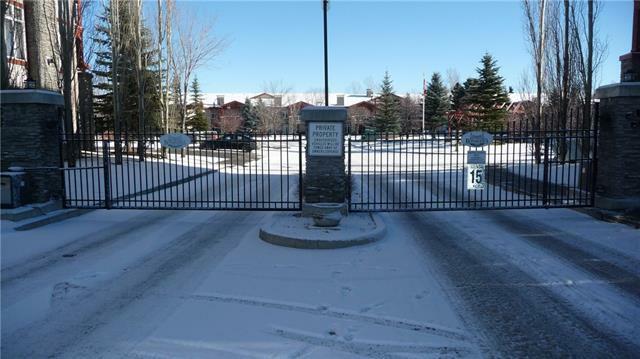 Beautiful bright top floor unit is in a prestigious "gated" community. The open floor plan is ideal for entertaining! Many features! Kitchen has a spacious countertop with Breakfast bar, lots of storage space including a pantry. 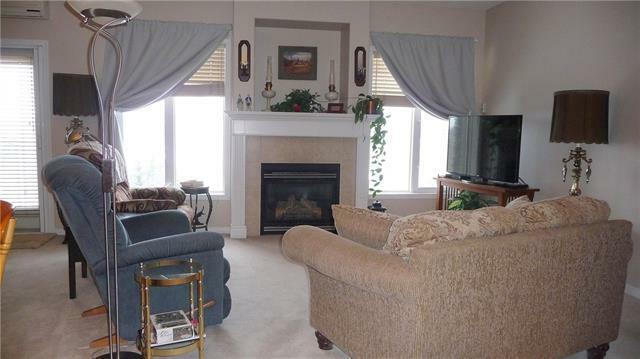 Living Room features a cozy fireplace with mantle, two large south facing windows, air conditioning & opens to private balcony with BBQ gas line. The Bedrooms are both a good size; the spacious Master has two generous closets, 5 pce Ensuite with dual sinks, a soaker tub & separate step-in shower. The Second Bedroom and 3 pce Bath is on opposite side for privacy. Convenient in suite Laundry! Secure, heated titled parking with assigned storage. 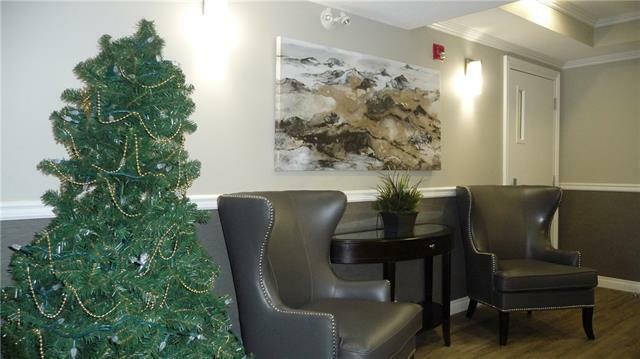 Fabulous amenities in this Building including a large Social Room/Clubhouse room with fireplace & a complete Kitchen, outdoor patio, a Library, Exercise Room, a Movie Theatre & car wash bay. 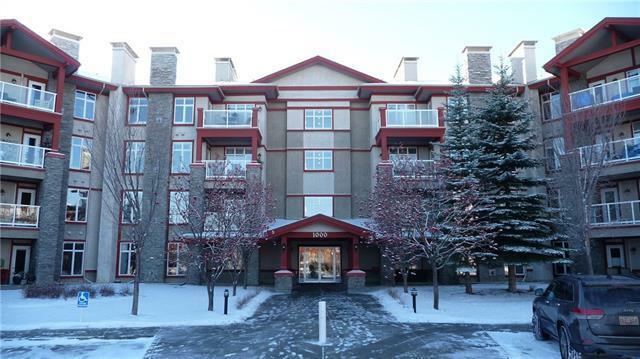 Close to Shopping, Medical Offices, Restaurants, LRT, Bus, Sports Centre & Fish Creek Park! You'll be impressed with this smoke-free & animal free home!